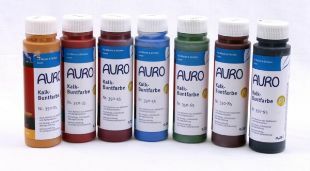 Cheerful, conservative or trendy colours for your walls thanks to natural earth and mineral pigments: tinting paint for AURO Wall paints No. 321 and 524. 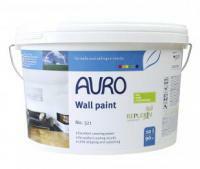 Can also be used on its own as particularly strong full-shade wall paint. Find your favourite colour among hundreds of finely graded colours in our colour charts (our stockist keeps colour charts ready for you). (Information for colour tone mixing: net weight per 0,25 l = 0,276 kg | 0,5 l = 0,555 kg | 2,5 l = 2,775 kg). Find your desired colour tone in our interactive Colour Designer.